The story of coins and paper money is filled with fascinating “firsts.” They relate to issues, designs, sizes, compositions, colors and more. 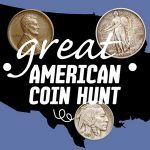 You’ll find 9 important numismatic firsts here. But there are others that could be mentioned! 1793 Liberty Cap 1/2 Cent Replica. First U.S. coins: the first official U.S. coins were 1/2¢ and 1¢ coins struck in 1793 during the presidency of George Washington. They were soon followed by half dimes, quarters, half dollars and silver dollars. First branch U.S. Mints: after gold was discovered in North Carolina and Georgia, branch U.S. Mints were established in Charlotte (NC), Dahlonega (GA) and New Orleans in 1838. All three ceased operations over a century ago. First U.S. paper money: the U.S. government did not issue paper money until the Civil War era. Short-lived Demand Notes were produced during 1861-1862. Then long-running Legal Tender Notes began circulating in 1862. 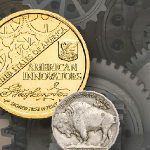 First U.S. commemorative: honoring important figures and events in history, U.S. commemorative coins began in 1892. The first issues marked the 400th anniversary of the discovery of the New World by Christopher Columbus. 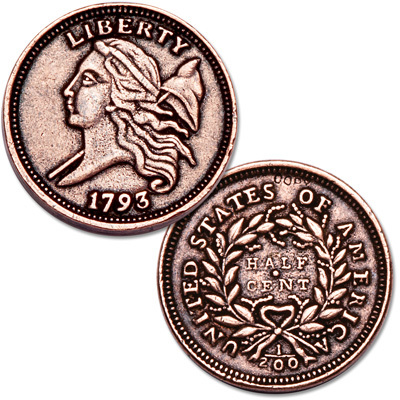 First actual person on a regular U.S. coin: regular U.S. coins featured only Liberty or symbolic devices for some 115 years, until 1909. Then Abraham Lincoln became the first actual person depicted on a circulating U.S. coin (the penny). First “clad” coinage: featuring a core and outer layer of differing substances, “clad” coinage debuted in 1964. 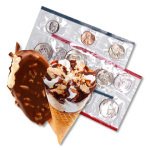 Due to rising metal prices, dimes and quarters changed from 90% silver to a pure copper core and copper-nickel outer layer. 1979 Susan B. Anthony dollar. 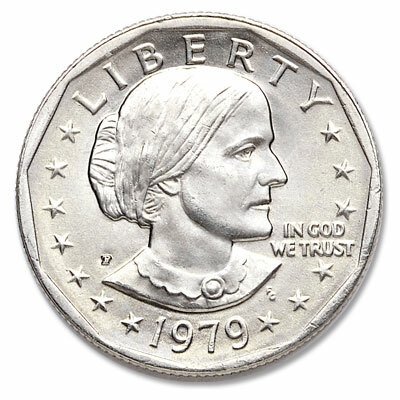 First woman on a regular U.S. coin: a “glass ceiling” was broken in 1979 when women’s rights activist Susan B. Anthony became the first woman depicted on circulating U.S. coinage. Her likeness appeared on the first small-size dollars. 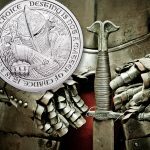 First U.S. bullion coins: the U.S. Mint issued its first silver and gold bullion coins in 1986. The silver and gold American Eagles introduced that year brought back famous and revered Liberty designs from the early 20th century. First series with ever-changing designs: a major first took place in 1999 when the Statehood quarters debuted. The series featured 5 new reverse designs each year. It has been followed by the similar National Park quarter series. Other U.S. coinage “firsts” have included platinum bullion coins and golden-colored small-size dollars. 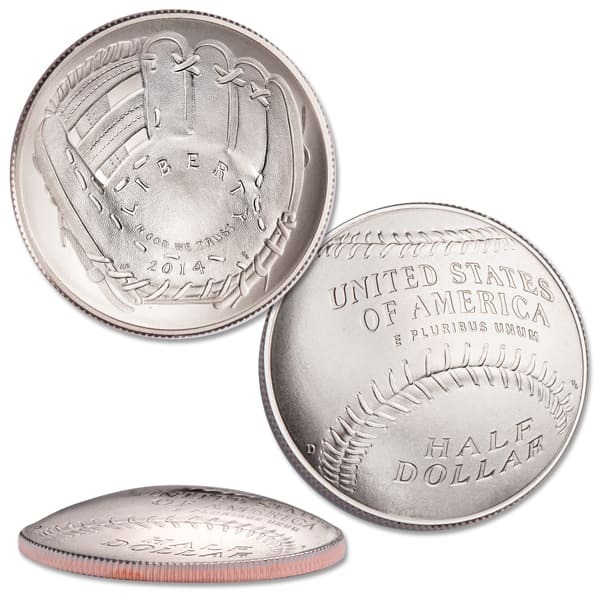 Plus, the first-ever curved U.S. coin – issued for the 75th anniversary of the Baseball Hall of Fame in Cooperstown, NY. The concave or “sunken” obverse features a baseball glove. The convex or “domed” reverse portrays an official major league baseball. 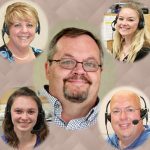 Mints around the globe keep pushing the envelope of coinage technology. 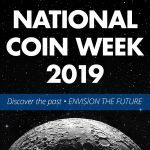 So who knows what lies in store for U.S. and world coins? 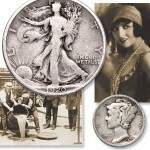 One thing’s for sure, we can look forward to many more dramatic coinage firsts! 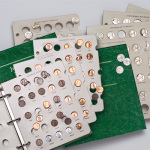 You may have other favorite numismatic firsts. Why not share them with our other readers!